Many people love a DIY project. First off, they save money by not having to hire a professional. Secondly, there is a feeling of accomplishment when the job is successfully completed. 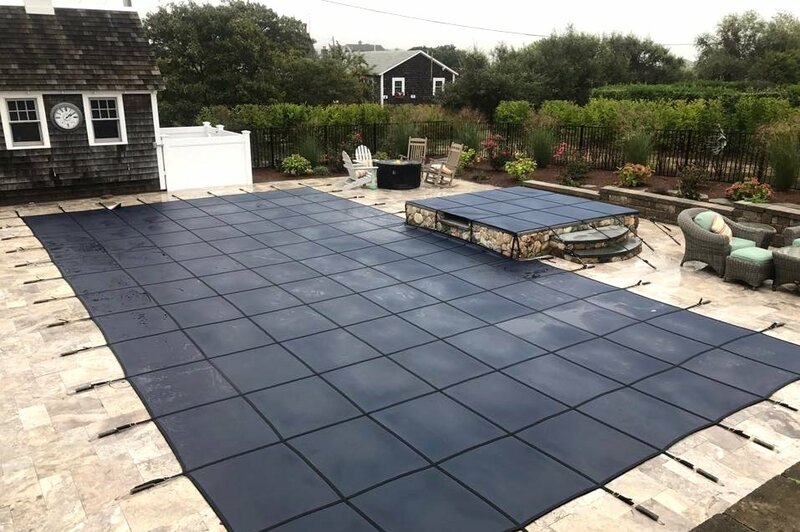 But when it comes to opening up your swimming pool for the season, you might want to think twice before tackling the job yourself. Opening the pool requires a number of different steps, many of which if not done properly could turn your dream of lounging in the sun into a summer-long nightmare. You don’t just pull off the cover, dump in some chemicals and turn on the pump. Opening the pool demands knowledge, energy and patience. And you shouldn’t do it alone. The job should take around two hours. But in reality, it will consume parts of two days, because that’s how long it will take before you are able to balance the chemicals and gauge if the start-up filter pressure is operating properly. The first step is to remove the pool cover. Easy, right? Not necessarily. You’ll need two people, and even then, it’s not easy to prevent all those leaves and debris that have accumulated over the winter from falling into the pool (Unless you have a Merlin fitted winter cover). Then you must reinstall any equipment, such as ladders, hand rails and diving board, and replace filter gauges, drain plugs, the backwash hose and any other things that were removed for the winter. After that, it’s time to open the air filter bleeder and turn on the pump, but only after removing all winter plugs pool side. If you forget to pull all the winter freeze plugs, you can damage the pump which costs more to repair than what an opening would cost. You can also damage your system and even injure yourself by not opening all the valves, which could cause the pump to work too hard and blow the filter lid 20 feet into the air. After that, you can start cleaning the pool and vacuuming out the waste line. If you don’t get rid of all the debris and waste, it will find its way through your filter and into your plumbing. Not good. And don’t forget to clean the deck around the pool, which will likely be covered with leaves, algae and dirt. Introducing the pool chemicals is the trickiest part of the job. If you shock the pool with a chemical that’s too powerful you could bleach the liner. If you are using a pool shock, such as calcium hypochlorite, you could also have fumes or even a small flare-up or explosion. You’ll then need to play pool scientist by waiting a few days and then going back to check if the chemicals are balanced. That means testing the cyanuric acid, calcium hardness, total alkalinity and pH levels, and then adding in each chemical separately to reach the proper ranges. If you don’t get this right, good luck keeping the water clear all summer. That is, unless you enjoy cloudy water. Get all that right and you’re ready for summer. Or maybe you could start working on your tan while a professional does the job. Seems like a no-brainer, doesn’t it? Please contact us to schedule your spring opening.